1. Create a SportsEngine Account - In order to gain access to your team page you must create a SportsEngine account first. Please click "Create an Account" on the very top of this page above the "AD/Coaches Sign Up" button. 2. Fill Out the Team Page Sign Up Form - Fill out this form on this page so team page access can be set up. Once this form is submitted an email will be sent to ASAA staff, and they will set up your team page edit permissions. 3. Confirmation for Team Page Access Emailed - We'll promptly enable your team page access and send you a confirmation email. Once received you can begin editing, adding, and uploading to your team page! 4. Update Your Team Page - With Team Page Access, you'll have the ability to modify your roster, update your schedule, record game results and player statistics, create news articles, upload photos and video, and more!! How do I Quick Score a Game? Team managers manual and other information on editing pages can be found on the Sport Ngin Support website. For other stat/scoring systems visit Sport Ngin website for details! 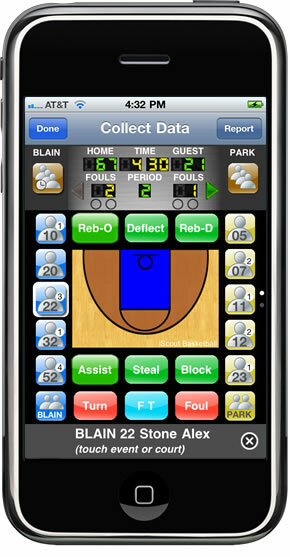 The premiere basketball scoring app for iPad, iPhone, and iPod Touch. Exports statistics seamlessly to the Sport Ngin platform.